Police in Paris clashed with demonstrators from the Asian community in front of a police station following a protest over the police killing of a 56-year-old man over the weekend. The clashes subsided shortly before midnight. 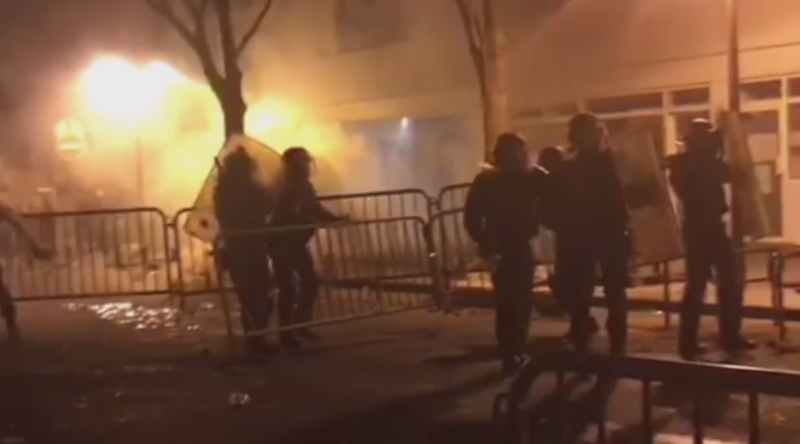 Three policemen from the CSI 75 unit were "slightly injured by projectiles" a police source told Le Parisien, while three protesters were arrested. Shaoyo Liu, a 56-year-old Asian man was shot dead on Sunday by a BAC (anti-crime brigade) policeman during an intervention at his home over a "family dispute". While police claim the suspect was shot in self-defense as Liu was holding scissors at the time of the raid, his family say that the man was only cleaning fish at the time of the tragedy. "My little sister heard a knock at the door: she looked at the door hole and saw two men and an armed woman," Isabelle Liu, the victim's daughter told Le Parisien. "My father came to the door with the scissors he was using to handle the fish that he was cooking....[when] the police broke through the door and shot." While the police have launched their own investigation, the family of Shaoyo Liu and the Representative Council of Asian Associations have decided to bring the matter before the courts.